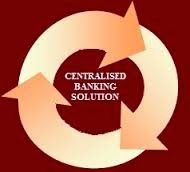 About Organization: SARVA HARYANA GRAMIN BANK(SHGB) came into existence on 29th November 2013 on Implication of GOI Notification no 7/9/2011- RRB dated 29.11.2013 regarding amalgamation of two RRBs viz Haryana Gramin Bank & Gurgaon Gramin Bank under the Regional Rural Banks Act, 1976 (No. 21 of 1976) and the new entity called as Serva Haryana Gramin Bank with its Head Office at Rohtak (Haryana) sponsored by Punjab National Bank, the Leading Bank in Indian Banking industry. How to Apply: Apply online through bank’s website www.hgb.co.in. After submission of online application, candidates must take the pirnt out of application form and keep it for future use. Printed online application form, original CBS Challan, Call letter and all relevant original certificates and attested copies of required documents must be produced at the time of interview.